Ideal for business travellers, the hotel is close to several leading IT parks and offices in Gurgaon. It is located 10min away from the Huda Metro Station. 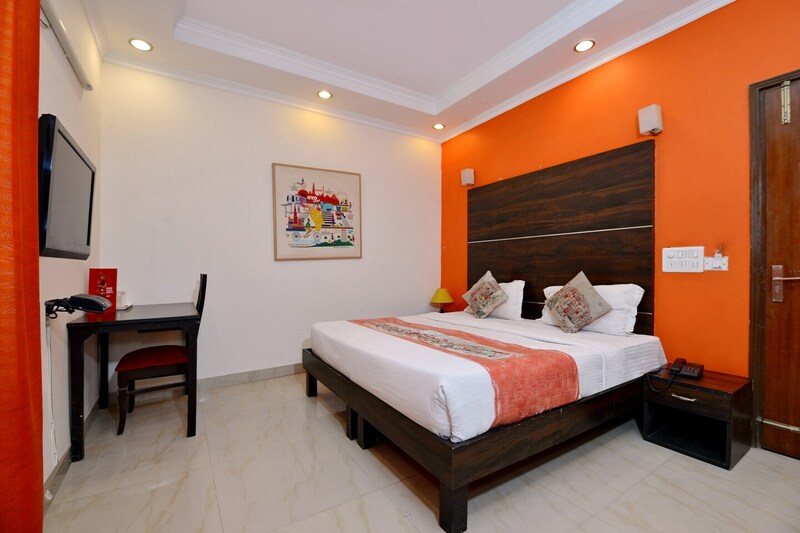 The rooms are spacious and the ethnic decor lends a rich and luxurious feel to the rooms. The hotel has a large and comfortable seating area for formal and informal gatherings. All necessary amenities such as Free Wifi, Complimentary Breakfast, AC, Power backup, Parking Facility, TV, Seating Area, Geyser, Room Heater, Hair Dryer, Card Payment, Laundry, CCTV Cameras are available in the property.. Restaurants such as Norenj, Street Monk, Thai Pavillion, Gung The Palace must be visited for culinary delights. Fresco Market in Nirvana can be explored for local shopping. Good Earth City centre is a mall close to the hotel where one can spend their leisure hours.